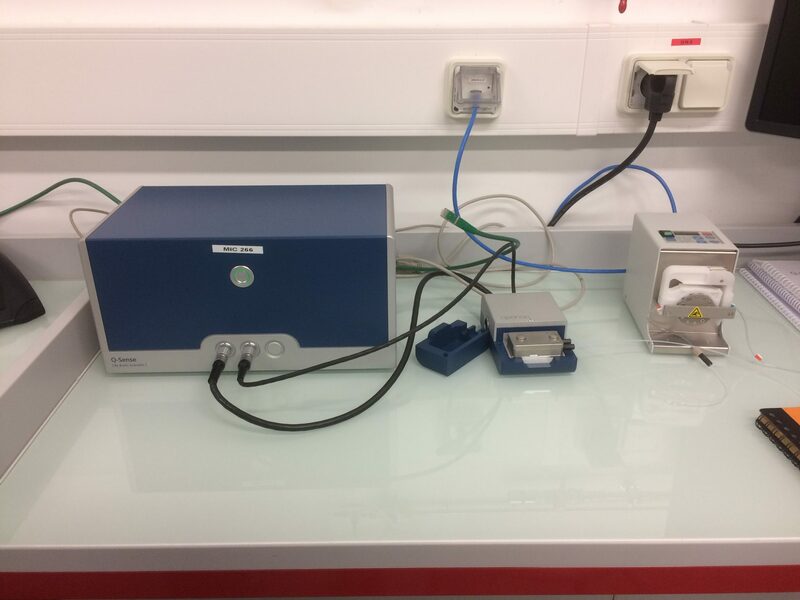 The aim of the work package WP 4.3 is to develop innovative chemical sensors dedicated to monitor chemicals in natural waters. 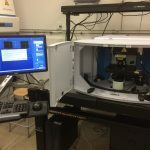 Among the different ways, it appears a new research direction in order to develop eco-friendly sensors based on a principle of “bio-mimetic” recognition and made from bio-sourced materials. 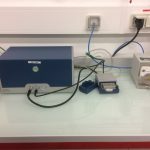 (2) the research and development of an innovative bio-sourced sensor based on green chemical methods for herbicide monitoring in aquatic systems. 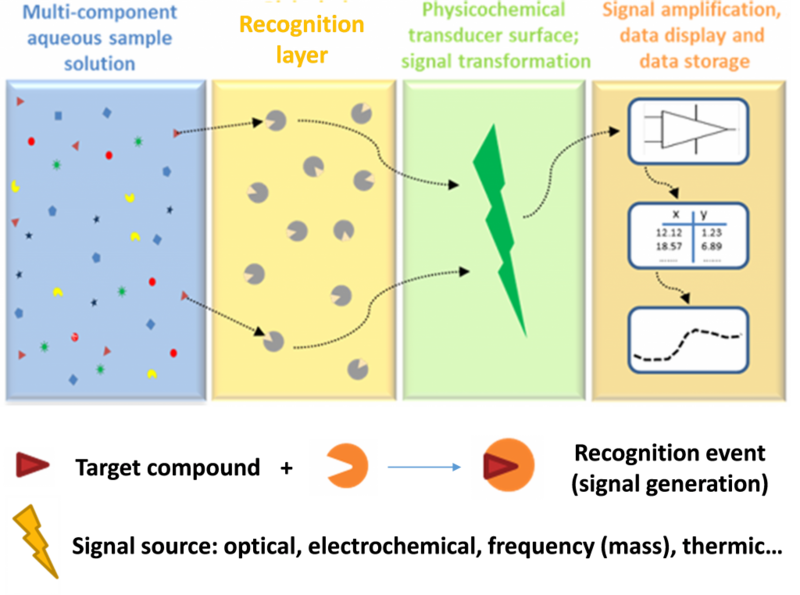 Herein, molecular imprinting technology (MIT) combined with surface plasmon resonance (SPR, MP-SPR NaviTM 200 OTSO) and electrochemistry method (SP-200 potentiostat, Bio-Logic) is suggested to develop a promising sensor to respond to characteristic features of an analytical method such as sensitivity, stability and robustness. 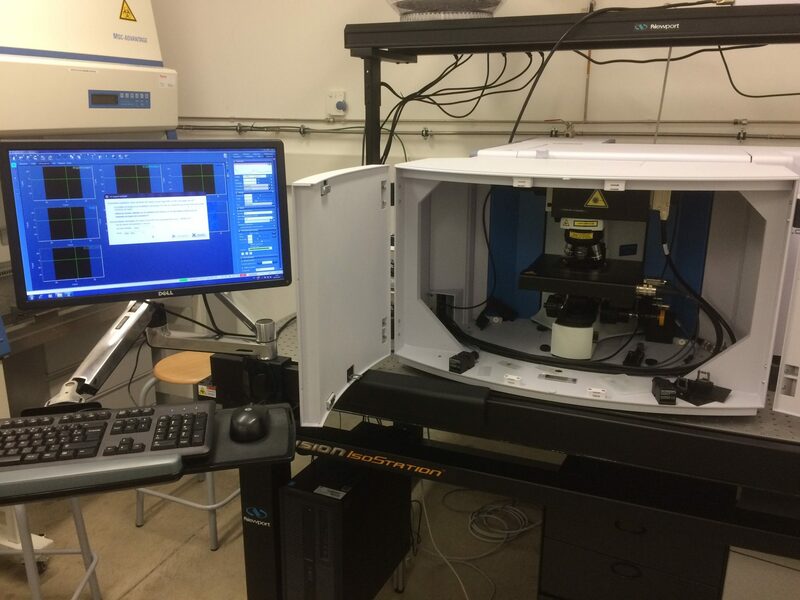 A Raman microspectroscope spetrometer (LabRAM HR evolution (Horiba Jobin Yvon SAS), associated with a confocal microscope (BX41), is used for characterizing materials and studying molecular interaction mechanisms between the different materials and target molecules used for the sensor. Principle of molecular imprinting is very similar to the “lock and key” theory of enzymes. 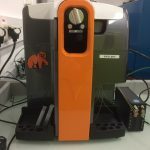 A brief outline on the Molecular Imprinting procedure has been described by Yan . The overall principle of molecular imprinting is presented in Figure 2. The template interacts with functional monomers either by the formation of covalent bonds or by self-association. Then, these monomers are polymerized around the template with the help of a cross-linker in the presence of a solvent. Template molecules are removed by extensive washing steps to disrupt the interactions between the template and the monomers. 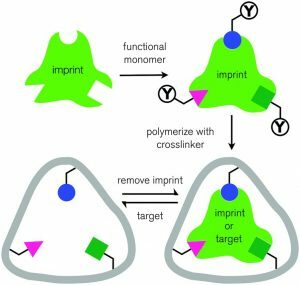 In that way, a molecular memory is introduced into the polymer, which is now capable of selectively rebinding the analyte via size, shape and functional groups . Molecularly imprinted polymer membranes, containing artificial recognition sites for pesticides, will be developed using different manners like spin-coating or bottom-up synthesis. The green synthesis proposed for preparation will use bio-sourced compounds (solvent, stabilizing agents, reactants). 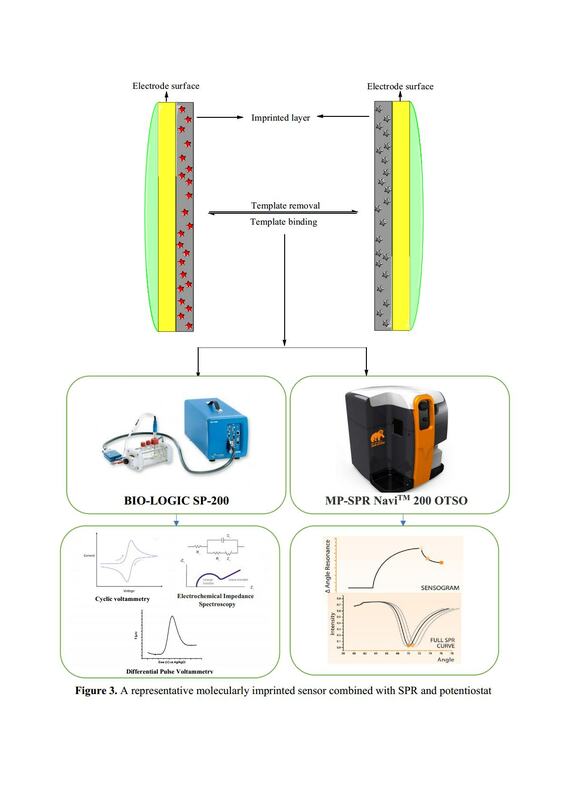 Beside that, surface plasmon resonance and electrochemistry technique are used for monitoring the fabrication of molecularly imprinted polymer membranes as well as the detection of target analytes (Figure 3). 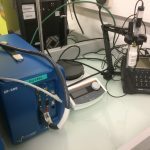 Calibration can be then performed to estimate target molecule concentration in the matrix to be analyzed such as surface waters. 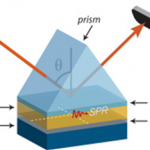 Surface Plasmon Resonance is a well-established optical phenomenon widely used for real-time, label-free monitoring of molecular interactions. 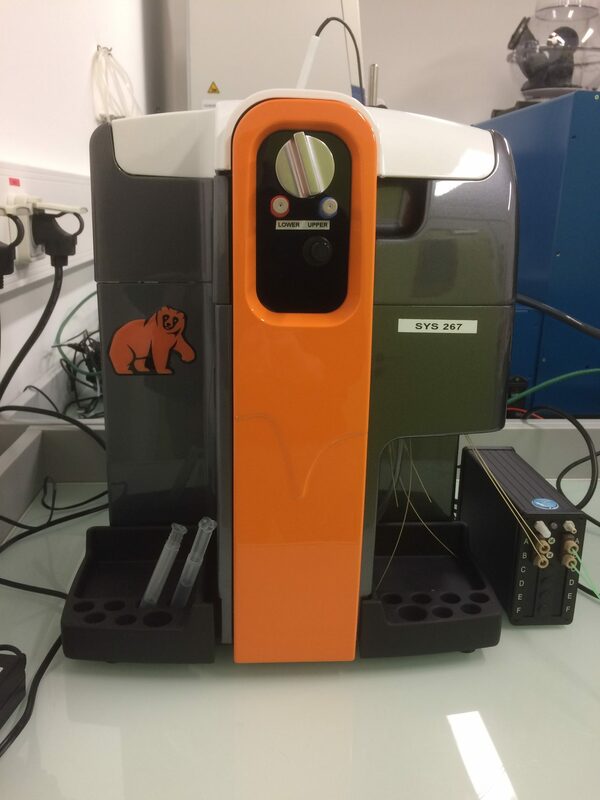 The work package WP4.3 used the SPR system – MP-SPR NaviTM 200 OTSO (two laser radiations at 670 nm and 785 nm). 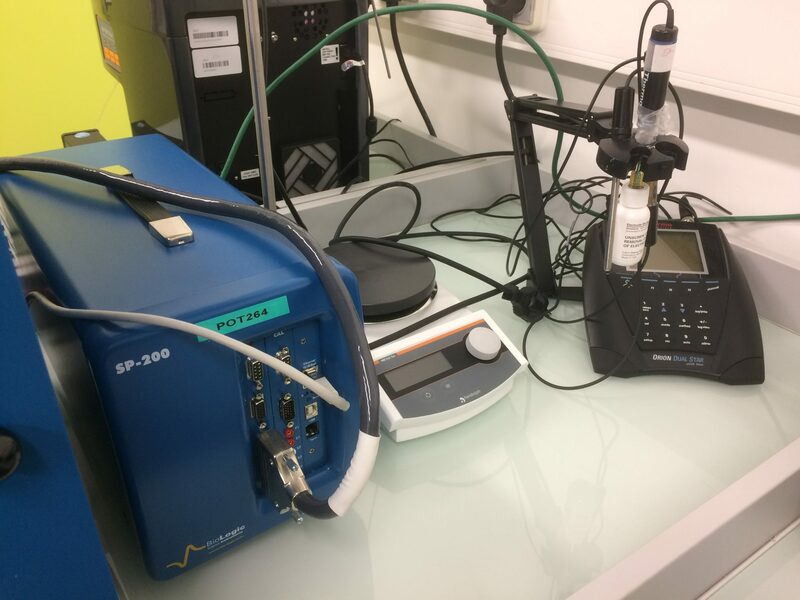 With this system, apart from monitoring only thickness of MIP, also the kinetics of adsorption and other characteristics will be monitored and calculated helping to understand the structure-property relationship of MIP, and can lead to future improvements in nanofabrication method. 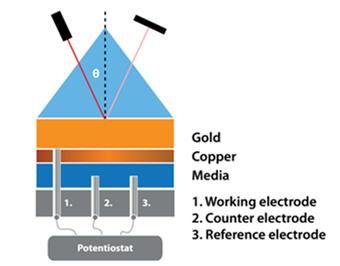 Coupling with Bio-Logic SP 200 system, characteristics of sensor related to conductivity, capacitive behavior and dielectric properties will be measured by using electrochemistry techniques such as cyclic voltammetry, electrochemical impedance spectroscopy or differential impedance spectroscopy. Suginta, W., Khunkaewla, P., Schulte, A., 2013. 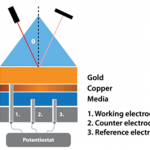 Electrochemical biosensor applications of polysaccharides chitin and chitosan. Chem. Rev. 113, 5458-5479. Yan, M., 2004. Molecularly Imprinted Materials: Science and Technology. Taylor & Francis. Haupt, K., 2001. Molecularly imprinted polymers in analytical chemistry. Analyst 126, 747-756. Lofgreen, J.E. Ozin, G.A., 2014. Controlling morphology and porosity to improve performance of molecularly imprinted sol-gel silica. Chem. Soc. Rev. 43, 911-933.